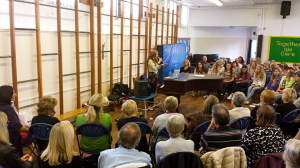 We had the wonderful privilege of running a singing workshop for ‘Got 2 Sing’ down in Stourbridge recently! Kate Hollands travelled down to deliver a ‘Vocal Health and Technique’ Workshop to 100 Got 2 Sing choir members. 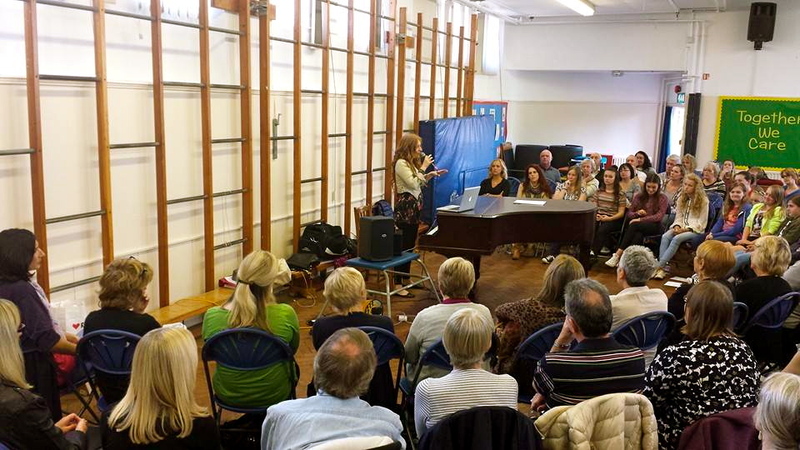 Kate also gave some private singing lessons after the workshop to several of the members. Got 2 Sing was founded by Pro Voice Studios client Beth Dunn. Beth is wonderful singer and performer who is very passionate about what she does. Beth sang in different choirs throughout her life and after finishing University wanted to go straight back home to start her own business that would combine her love of singing with her heart to create a social environment full of fun and harmonies! There are now 9 Got 2 Sing choirs around The Midlands, including a youth choir. Got 2 Sing perform across the country and even abroad. They do numerous charity events and have raised over £8k for different charities. I walked in to a bustling school hall and was hit by the sense of fun and energy in the room. I have walked into such settings before where the atmosphere is far from electric but I immediately felt at home with these lot and I was all the more excited for the workshop knowing that my audience was already full of energy and enthusiasm! In the workshop we talked about the importance of ‘Vocal Balance’ and how in order for us to eliminate problems such as reaching high notes, having power and strength in the voice, singing through those darn ‘transition’ areas, getting rid of breaks, not having to ‘switch voices’ etc, we have to learn how to balance air pressure with muscle. 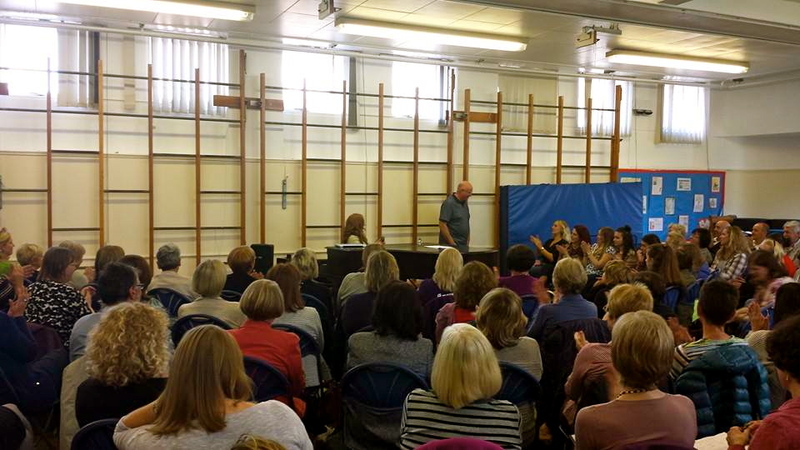 We had lots of fun demonstrating a ‘balanced’ voice and an ‘unbalanced’ voice through my personal examples both in my speaking voice and singing voice and then we played some existing singers who have balance and some who… well, struggle finding it! We didn’t name names of course! We talked about the mechanics of the voice and even touched upon the ‘what is talent’ Qs from my last blog. It was so great to see the lights going on and people realising ‘actually, I can sing, I am not the only singer who struggles with this problem and I can improve’. A great part of the workshop is where we get volunteers up to see what we can get happening in their voice, not just so everyone can hear the technique in action but also for each person to see how much more there is to their voice than they think. Through a couple of exercises, each volunteer was able to sing stronger, higher and with more power within minutes. Each volunteer is always surprised at how much more is comes out of their mouth and how easy it feels and these volunteers were no exception. The choir sang ‘Anytime You Need A Friend’ for me, a Mariah Carey song from their repertoire. They sounded absolutely superb! You can tell that every member loves being there and shares a common passion for singing. There are no auditions to be in the choir, everybody gets to sing and be themselves. There is a sense of freedom in this which is beautiful to watch and even more beautiful to hear. Beth Dunn has done a great job with Got 2 Sing. She leads them so well! We are very much looking forward to being with them again in the future!